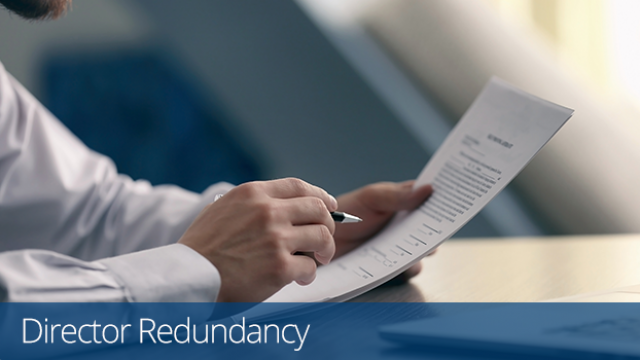 Director redundancy works in much the same way as redundancy for employees, yet awareness around the process is still limited even amongst professional advisers. However, ensuring your clients are aware of their potential entitlement to claim director redundancy should their business become insolvent is vital in helping them make an informed decision about the future direction of their company. While striking off a struggling company may appear to be a cost-effective method of closure, it could well be the case that paying for formal liquidation is a more financially prudent move should there be a valid claim for director redundancy. Being able to advise your insolvent clients of this little understood entitlement ensures you are giving the very best advice during a difficult time, while also leaving open the possibility of retaining the client should they decide to use their redundancy pay-out to fund a new business venture. As part of Begbies Traynor Group, we have a team possessing an in-depth knowledge of the redundancy claims process which can allow us to quickly ascertain whether your client has a valid claim and also help maximise the chance of success should they decide to go ahead. Just like with redundancy for employees, there is a criteria which needs to be met in order for a company director to be eligible to receive such a payment; not only can we expertly determine whether your client meets these conditions but also give an immediate indication of the potential claim value. As the UK’s leading business recovery practice, handling more corporate insolvency procedures than any other firm, we can talk through the pros and cons of both liquidation and strike off, as well as explaining how director redundancy is affected by each process, ensuring your client is in the best possible position to make the correct decision for their individual situation. To learn more about how Handpicked Accountants can work alongside your practice to complement your existing services you can arrange a meeting with a partner from your local Begbies Traynor office.